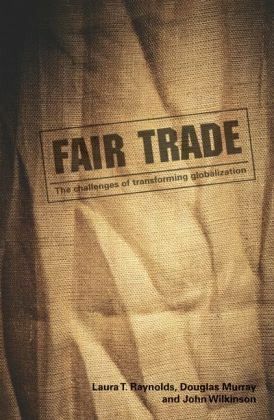 This book explores the challenges and potential of Fair Trade, one of the world’s most dynamic efforts to enhance global social justice and environmental sustainability through market based social change. Fair Trade links food consumers and agricultural producers across the Global North/ South divide and lies at the heart of key efforts to reshape the global economy. This book reveals the challenges the movement faces in its effort to transform globalization, emphasizing the inherent tensions in working both in, and against, the market. It explores Fair Trade’s recent rapid growth into new production regions, market arenas, and commodity areas through case studies of Europe, North America, Africa, and Latin America undertaken by prominent scholars in each region. The authors draw on, and advance, global commodity and value chain analysis, convention, and social movement approaches through these case studies and a series of synthetic analytical chapters. Pressures for more radical and more moderate approaches intertwine with the movement’s historical vision, reshaping Fair Trade’s priorities and efforts in the Global North and South. Fair Trade will be of strong interest to students and scholars of politics, globalization, sociology, geography, economics and business.